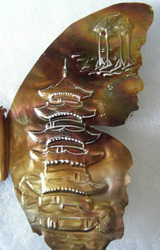 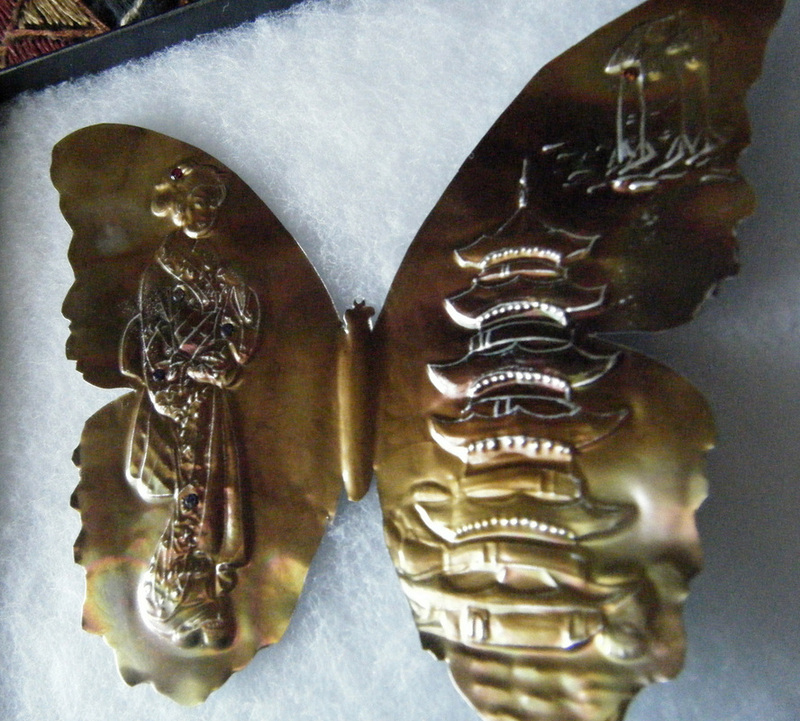 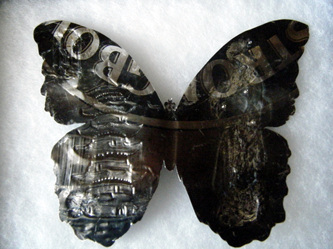 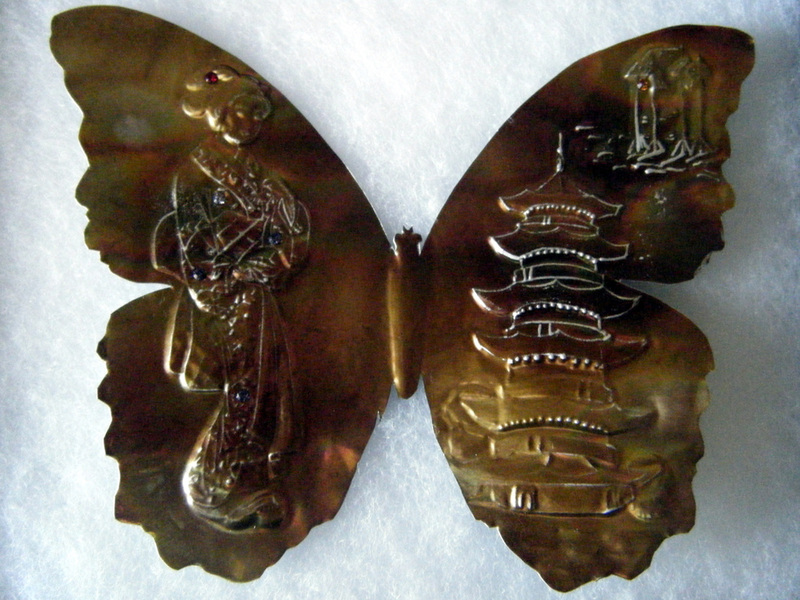 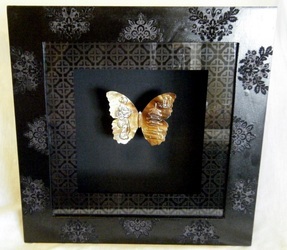 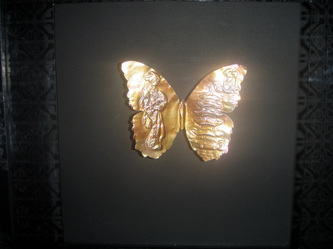 "Geisha 2" is a one of a kind flutter-bye sculpted from a recycled European beverage can. I treated the aluminum to bring out its stunning iridescence and then hammered and embossed it with this intricate pattern. 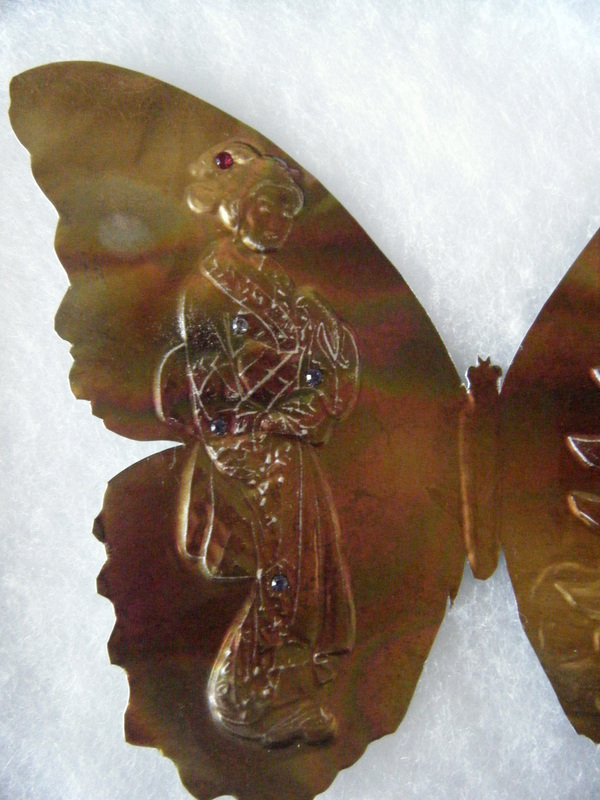 Then I precision cut out a life-sized Blue Morpho butterfly, in all its imperfect glory. 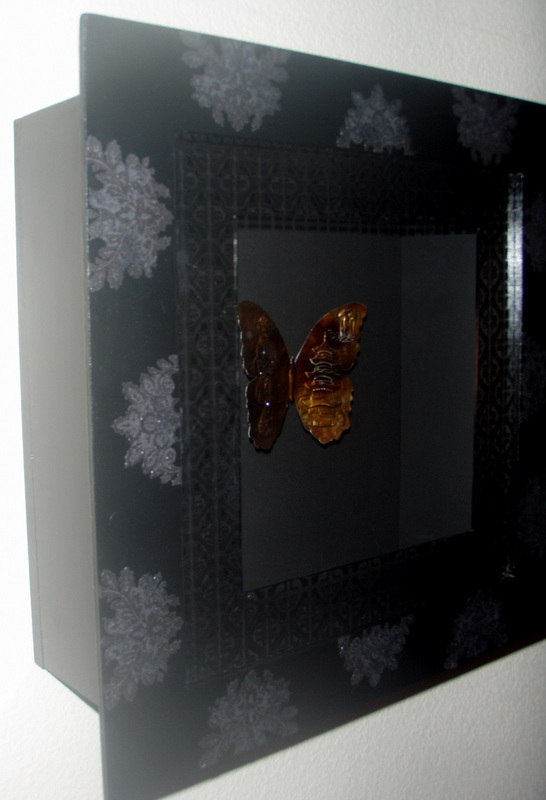 Finally, I placed Swarovski crystals for accent. 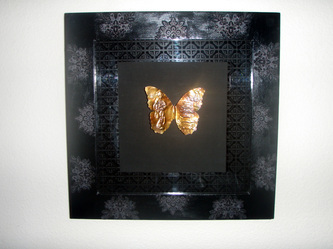 I designed the shadow box-style frame to allow "Geisha 2" to float freely and to move on the breeze. 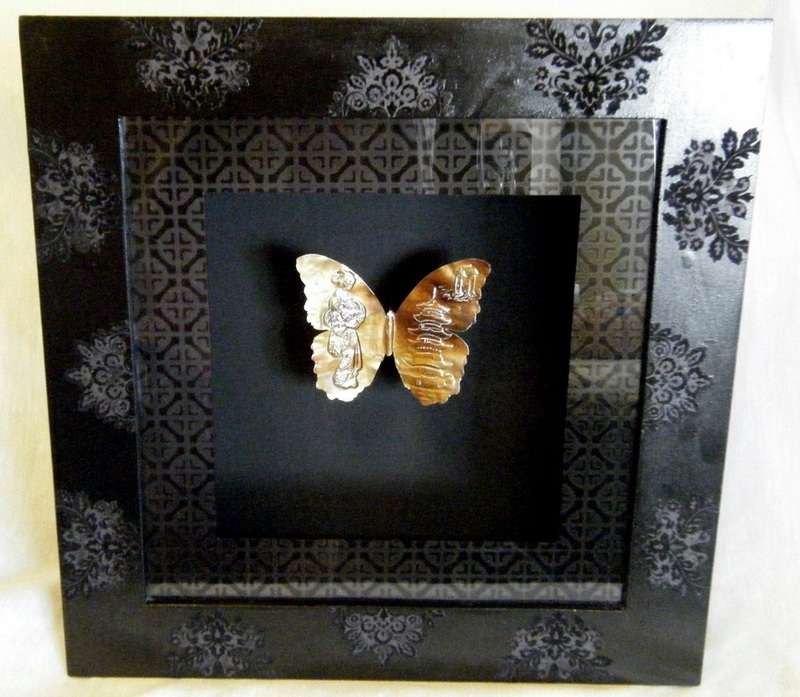 It is handpainted and papered with a luxurious raised flocked pattern. "Geisha 2"; 2010. Recycled aluminum drink can, Swarovski crystals, MDF, wire, plexiglass, acrylic paint, handpainted paper. Private Collection, Texas.